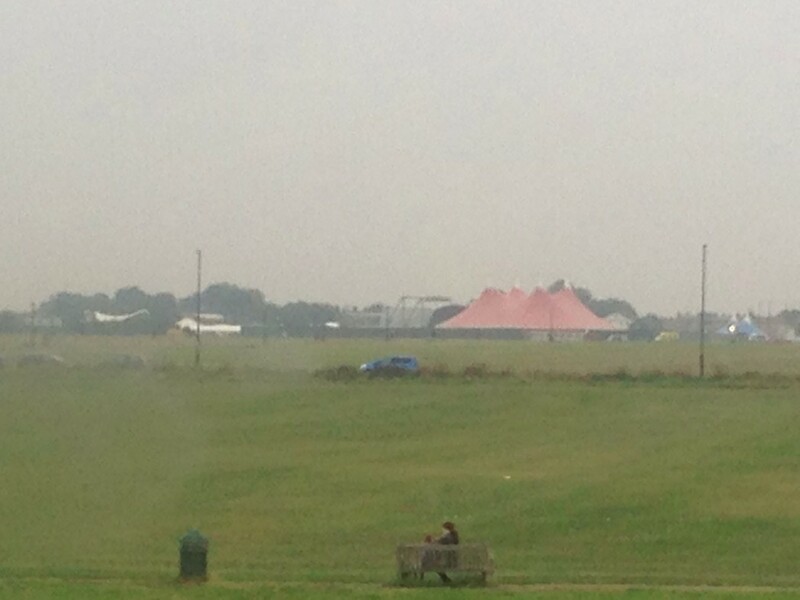 After some years and many obstacles, OnBlackheath finally took place on, er… Blackheath on 15-16 September. 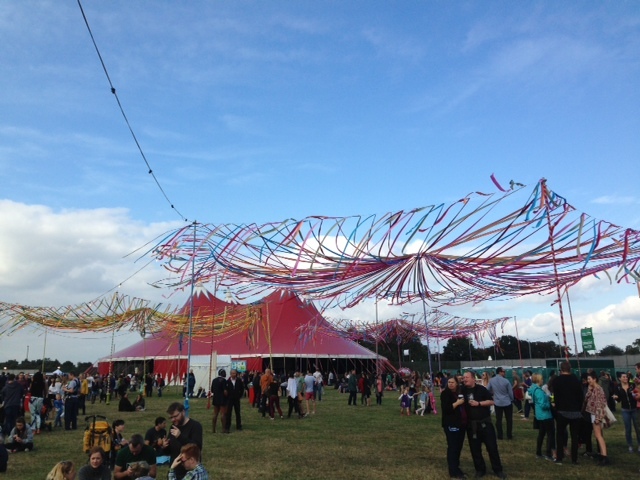 We Radical’s went for both days and, although not natural or regular music festival goers, really enjoyed the event. 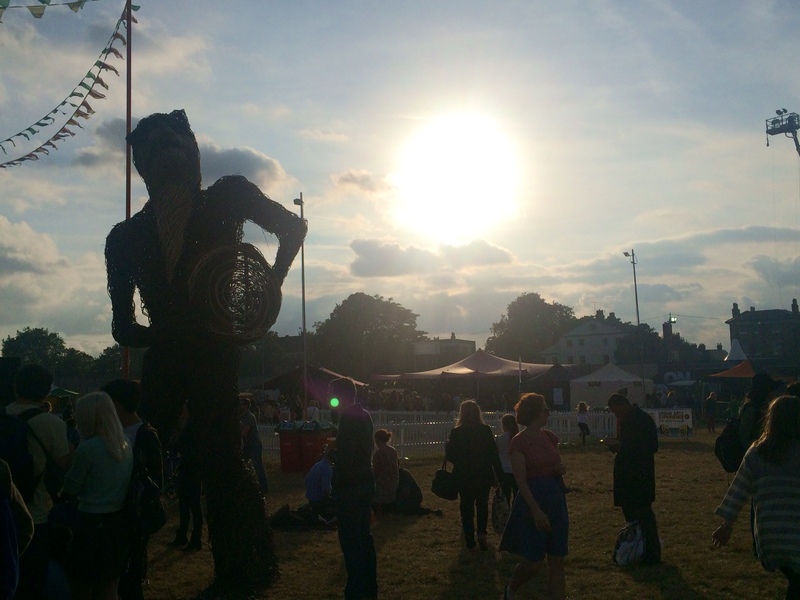 New bands were discovered, favourites re-engaged with, plus good food and drink was imbibed. On arrival early on Saturday afternoon the Greenwich meantime was spotted and we were ready to tour the site. The centrepiece was the main stage, and as we discovered later, the size of the site and numbers attending meant it was pretty easy to be close to the stage. Near to that free beard trims were available from Gillette! There was a large family/children’s area that included an area for sack races and entertainers including circus acts. Prior to the event there were apocalyptic visions of an event mainly attended by drunk, loutish, under-aged youths. The Revolt was surprised by the number of families attending, often three generations and with picnics, who stayed well into the evening to enjoy the event. We see (and hear you) Jarvis! Worldwide/Heavenly stages there was normally something to catch the ear. The Rude Vandals were excellent on the village stage (folky music before people start foaming at the mouth), and Anoushka was good on the Worldwide stage. And we saw local band Rhys Lewis and the Relics! 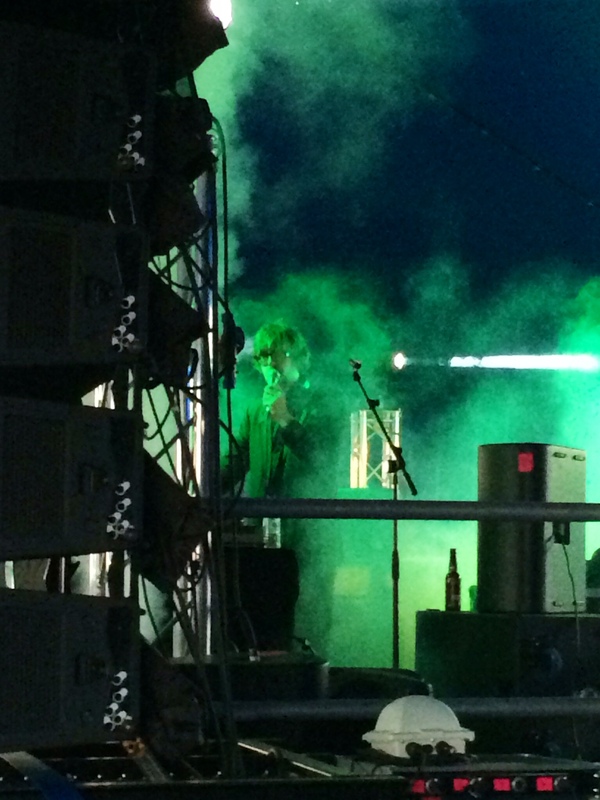 In addition we caught a tremendous DJ set by Jarvis Cocker (Pulp next year??). On the main stage we discovered Tom Hickox on Sunday afternoon and realised the Levellers were not quite to our taste, but they were certainly popular with the crowd. Headliners on Saturday Massive Attack put on a good show as did Frank Turner on Sunday – again, blissfully unaware of him but plenty of people had the t-shirts! 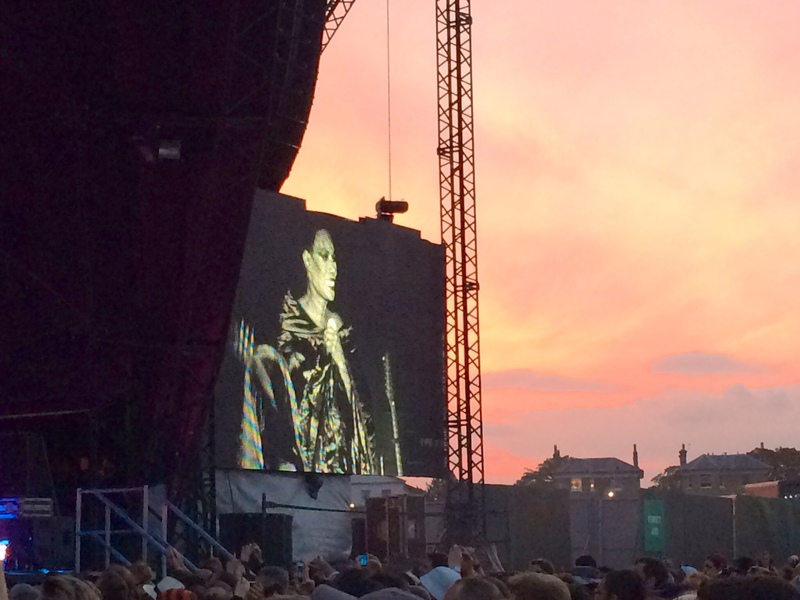 For the Radicals the highlight was the fabulous Grace Jones on Saturday evening. She really brought the place to life, entertained the crowd with music and chat, managed at least six costume changes, and yes, spent about ten minutes wandering around the stage hoola-hooping. 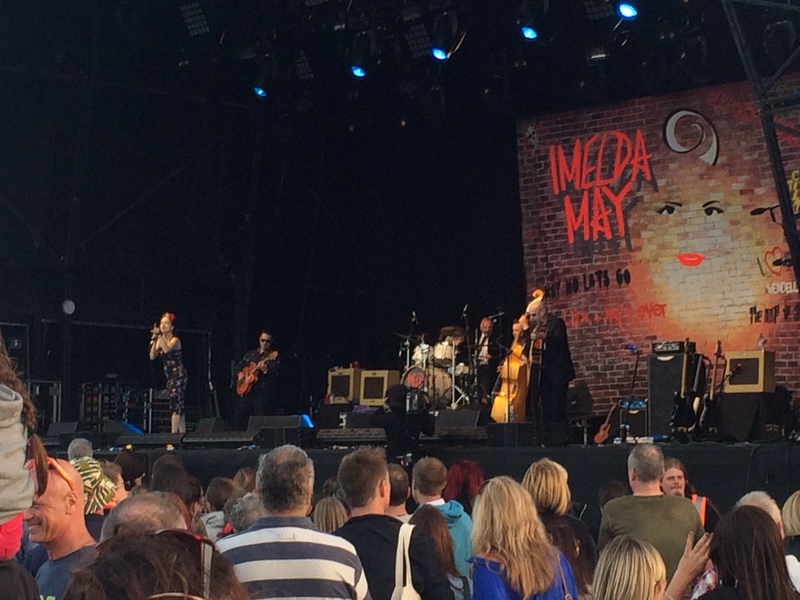 On Sunday Imelda May was also a highlight with an great set. And yes, the Radicals were jigging away! Plenty of food stalls adorned the site and burgers and tacos sustained us when we were not sampling food at the chef’s club. Meantime was the alcohol on offer, although we would say that the main bars only served the lager and we Radicals had to use the three smaller bars serving the Pale Ale and Yakima Red. Prices were a little more than we expected at just over £5 for a pint. Still, there were plenty of bar staff. It was genuinely a good day out, with friendly and helpful staff, good food, music, and yes ‘vibe’. It attracted plenty of local people (we Radicals saw plenty of fellow commuters) and no doubt attracted a wider audience to our village – we think the latter good. What next? The Blackheath Society have arranged a questionnaire (see previous post) but we also ask that everyone takes part in other feedback opportunities and future public meetings to ensure a balanced view is heard. Some of our local elected members attended too so in future consultations will be able to reflect all sides of the debate. We know that a vocal group has long been opposed to anything like this and frankly no matter what we say or what action is taken those people will continue to complain (see our OnBlackheath meeting reports). Those will not agree with the Revolt assessment but we ask people to avoid some of the rather petty comment that has been a feature of talk about the festival. You may be under the impression the Radicals’ leisure time is spent mostly drinking wine and listening to cricket, and while you would be right, there is also time for a bit of sporting activity. This means a visit to the Waterfront Leisure Centre in Woolwich. It is conveniently located a short walk from Woolwich centre, right next to one of the nodes of the Woolwich foot tunnel, on a number of bus routes and with a sizeable car park. The centre has recently undergone a refurbishment to its reception, which seemed to have the concomitant effect of standardising the previously arbitrary prices. The Radicals and chums enjoy a weekly game of squash on one of the four decent courts. Courts are generally available except at peak times and each session lasts forty minutes. There is also a league to join for those who want some organised competition. The swimming facilities cater for a range of desires; with a large fun pool with a wave machine and flume, a separate water slide, a children’s pool and standard twenty five metre pool. One narking element is that in the evening there can be one or two children’s lessons in the standard pool, while this is all well and good, it does mean that the adults are crowded in to the two remaining lanes, which given the mix of abilities can make things awkward. As the price doubles in the evening for none members, this can mean effectively paying more for worse facilities. There is a large, well equipped gym with cardio and weights machines in abundance and for those wanting to pump more serious iron, there is also a traditional weights gym. The facilities continue with a five-a-side football/badminton area and two sizable rooms that hold a variety of exercise classes from bouncing on an inflatable ball to ju jitsu. There are also facilities for functions on site e.g. birthday parties. If after all the exercise a little food is required there is a small canteen on site and also two cafes the Star and First Choice just across the road. There are rumblings of moving the leisure centre to a more central location off the Woolwich town square (http://www.royalgreenwich.gov.uk/news/article/291/new_woolwich_town_centre_leisure_centre_plans_revealed), while The Radicals are all in favour of change (and this would no doubt make room for some desperately needed ‘luxury’ flats). The Radicals hope that the facilities on offer are not sacrificed for a grand vision of a new improved Woolwich. You will have probably noticed the transformation work at London Bridge (and this re-hash of a previous post…) and been slightly envious of the snazzy new roof at the terminus part of the station whilst standing on a drab platform 4. There may have also been a hint of trepidation that at some point work would be done on the through platforms. Improvements at the station are necessary but this will cause significant disruption. This is all part of the government’s £6.5bn Thameslink programme to improve infrastructure in the capital. The first phase saw disruption last week to Southern and First Capital Connect services from London Bridge. We wait in eager anticipation of the SouthEastern timetable as the greatest concern is the reduced capacity to London Bridge. Logic would dictate that more services will be diverted to routes stopping at London Bridge at the expense of the non-stopping services. Measures SouthEastern reference include longer trains; extended opening hours for Cannon St station and tube; some services could be diverted to Blackfriars. The Radicals don’t want to be negative NIMBY’s about this as much of our infrastructure problems stem from lack of investment and long-term planning. Increased capacity (we won’t say better service with SouthEastern…) will benefit the area but there will be disruption for three years. What will be important is to ensure that customers are not short-changed, disruption is not used as an excuse for a poorer service (we still expect ticket prices to go up), and that everything possible is done to minimise the impact on customers.